There are some concrete benefits to accepting yourself, flaws and all. Jennifer Lopez and Alex Rodriguez are the height of couple goals. She recently said of their relationship: “Everything feels healthy and different. We bring something to each other’s lives that is profound, good, and healthy.” But their strong bond goes beyond their connection to each other. Lopez revealed how her relationship with Rodriguez wouldn’t be possible without first learning to love and accept herself. Lopez hits on a crucial point: You can’t unlock your full potential, personally and professionally, until you’ve developed a solid relationship with yourself. She’s not only celeb to emphasize this point. 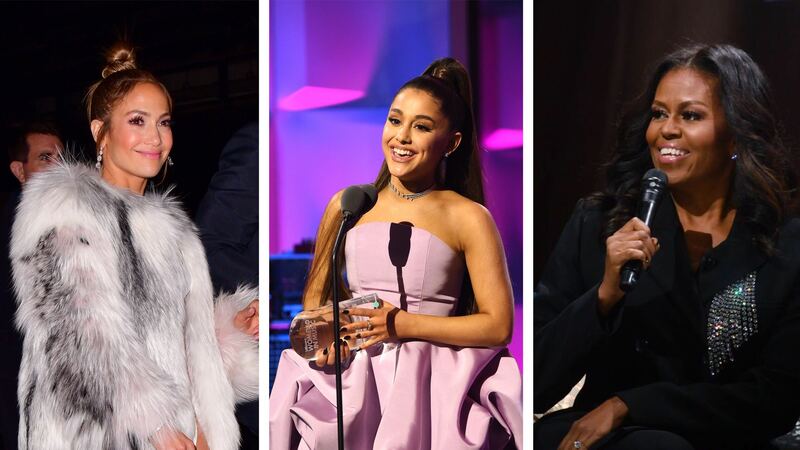 Talented, successful people from Michelle Obama to Ariana Grande have underscored the importance of learning to truly love themselves before they were able to tap into their full power. There’s a lot to learn from their transformations. “There was a time when I didn’t feel incredibly comfortable about my body because I felt like I was too strong,” Serena Williams explained in an interview with the Undefeated. “I had to take a second and think, ‘Who says I’m too strong? This body has enabled me to be the greatest player that I can be.’” Her strength is a powerful gift that got her to where she is in her career and as a person. That’s well worth celebrating. Marriage counseling “was my pivot point, my moment of self-arrest,” Michelle Obama shared in an interview on Good Morning America in support of her best-selling book, Becoming. “What I learned about myself is that my happiness was up to me. So I started working out more and I started asking for help more. I stopped feeling guilty. It was important for me to take care of myself; that’s not on Barack.” Fully actualizing herself and thriving in her marriage both demanded some real attention devoted to self-care and self-love. “Before I made this record, I was doing everything to try to get my music heard. I tried to lose weight, I was making awful music,” Sam Smith revealed as he received his 2015 Grammy. “It was only until I started being myself did the music start to flow and people start to listen.” It was when he decided to celebrate and lift up his authentic self that he was able to make work that he — and others — believed in. Gina Rodriguez, star of Netflix’s Jane the Virgin, has not always felt powerful and confident. “As a woman with Hashimoto’s, my struggle with health and weight and body acceptance in this industry has been a loving, painful, growing, exposing, vulnerable, and incredible journey,” she shared on Instagram. “And to come to a place where I love the skin I am in and it isn’t defined by anyone’s expectations or limitations is beyond freeing. I love this picture because I feel like young Gina finally made herself her own hero.” Learning self-love, for Rodriguez, meant claiming power and freedom.